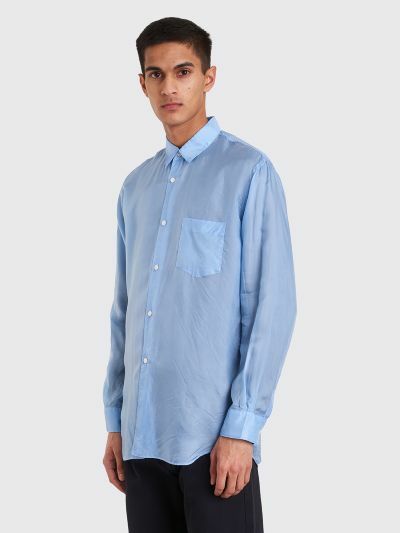 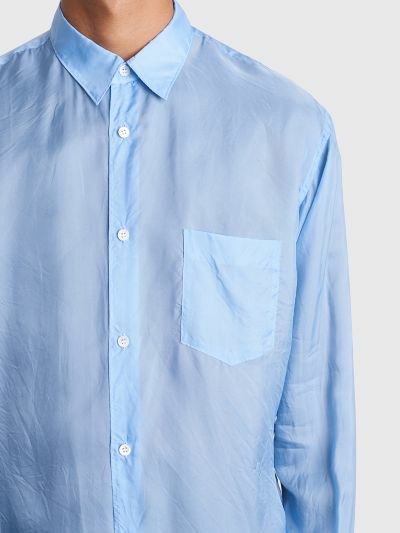 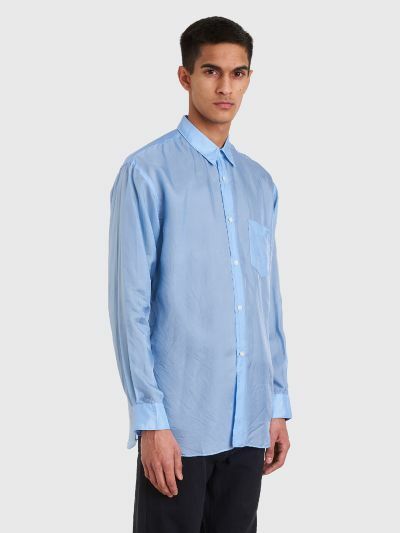 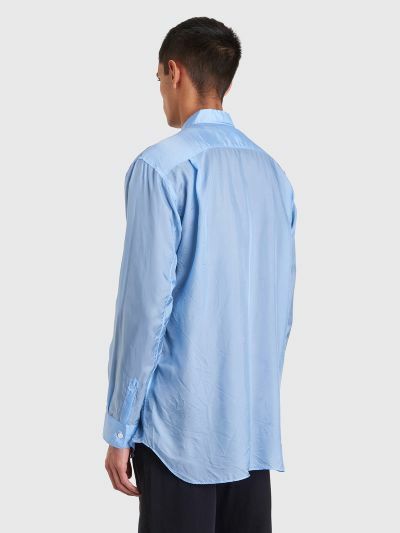 Shirt from Comme des Garçons Shirt made from a semi-sheer cupro fabric. 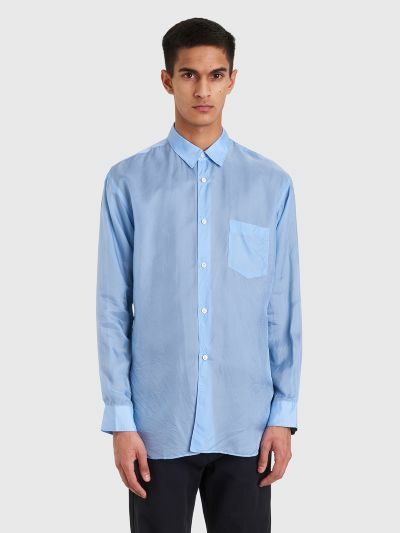 Features a regular collar, front button closure, a single chest pocket, back yoke with twin pleats, buttoned cuffs and a curved hem. 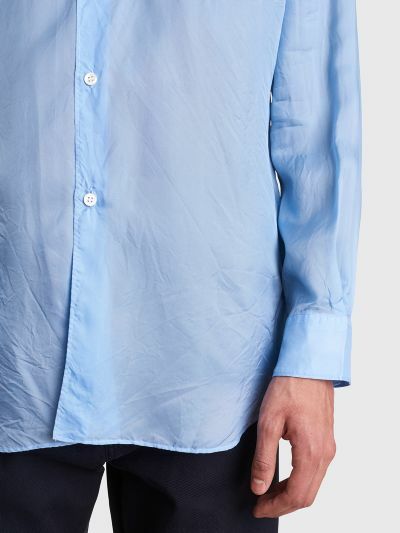 Blue shirt. Made in France from 100% cupro.